Discover a range of affordable, high-powered Chison ultrasounds packed with advanced imaging capabilities to streamline exams and heighten diagnostic confidence. From basic cardiology to small parts and OB/GYN, Chison ultrasounds offer a great level of image quality while aiming to enhance exam procedures and usability. At Providian, Chison is one of our most popular brands. We choose to carry Chison because it has the best price/performance ratio on the market. Our side-by-side tests revealed that Chison provides technologies and performance similar to what’s found on popular machines from major manufacturers, but at a lower cost with a longer warranty. Typically you can get a new Chison with a long warranty for the same price as a refurbished unit from a manufacturer such as GE, SonoSite, or Philips. In this guide, you’ll find essential information about Chison ultrasounds, including key features, usage, and price. Toward the end, you’ll also find the top five Chison ultrasound options. Another option is to call Providian Medical directly. Our experts will work with you to find the top Chison system for your budget and clinical needs. Call today at 1-877-661-8224. The key benefits of Chison ultrasounds come from their blend of system performance, user-friendly design, reliability, and affordability. This has helped hospitals and clinics in over 140 countries to adopt Chison ultrasounds for a wide range of medical imaging applications. 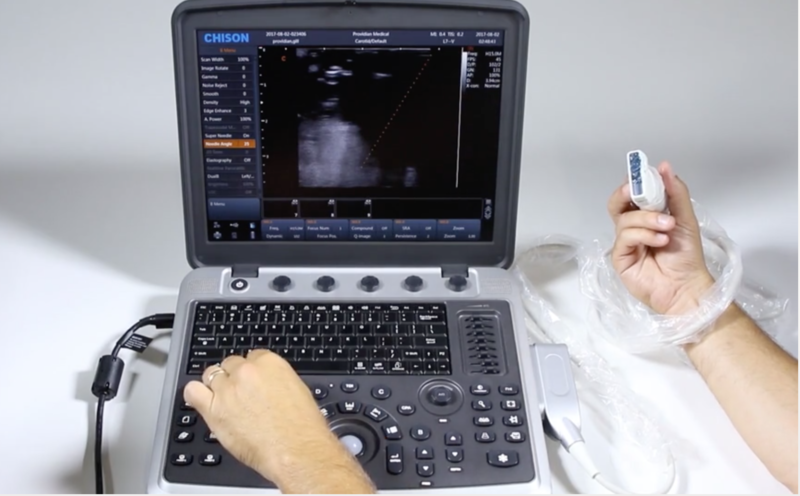 From the Chison ECO3 to the SonoBook 9, many of the Chison models are specifically engineered to target specific anatomy while offering various levels of technological innovation. For instance, newer models such as the SonoBook 9 enable more powerful cardiac capabilities as well as advanced features such as elastography, needle visualization, panoramic imaging, and more. To ease the shopping process, it can help to look at the clinical applications, imaging technologies, and uses of the various Chison ultrasounds. When looking for a reliable medical imaging solution at the hospital or your private clinic, you can find several Chison systems optimized for your specific needs. Additionally, Chison provides several high-end veterinary ultrasounds, covering everything from bovine animals to domestic canines. Auto IMT — Automatically traces the intima and measures its thickness with greater speeds and accuracy. FHI — Innovative harmonic imaging technology maintains high image resolution when imaging larger patients while increasing penetration. Q-Beam — Quad-beam technology doubles the volume of signals received for increased image resolution and frame rates. 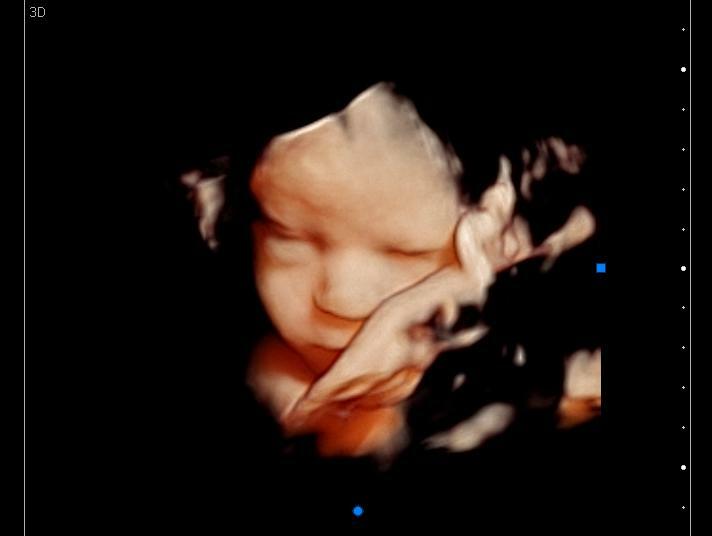 Virtual HD — Produces amazing life-like 4D images of the fetus. In addition to image quality, Chison ultrasounds are packed with innovative features to quicken workflows and ease performance. Features such as one-touch operations and custom user presets ensure instant access to certain configurations, allowing you to easily get the best images the first time. 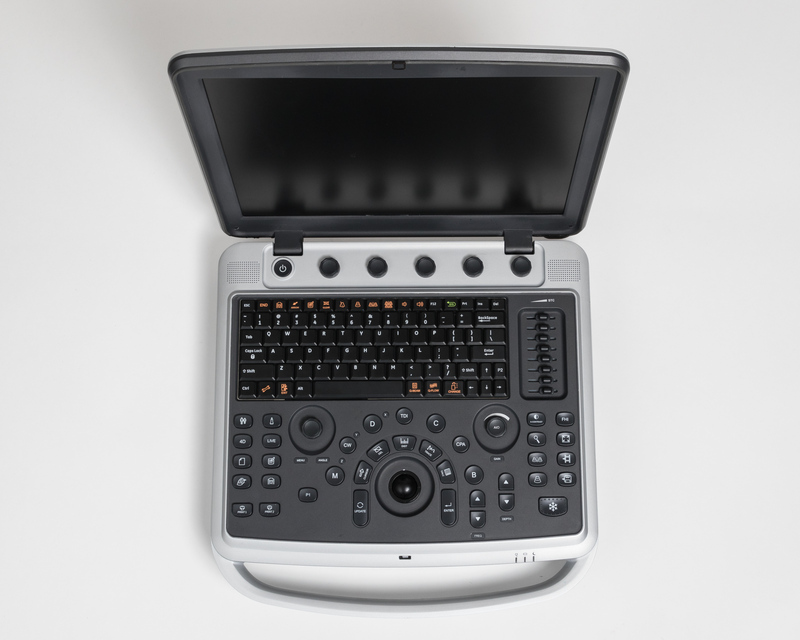 Chison ultrasounds are also popular systems for their ergonomic design. For instance, tilting LED monitors (0 to 30-degree) with unique LED technology reduce eye strain and allow for a wide viewing angle without the “washed out” look found on LCD monitors. With an eco-friendly design built into every Chison ultrasound, you can expect less power consumption and a long-life LED monitor. 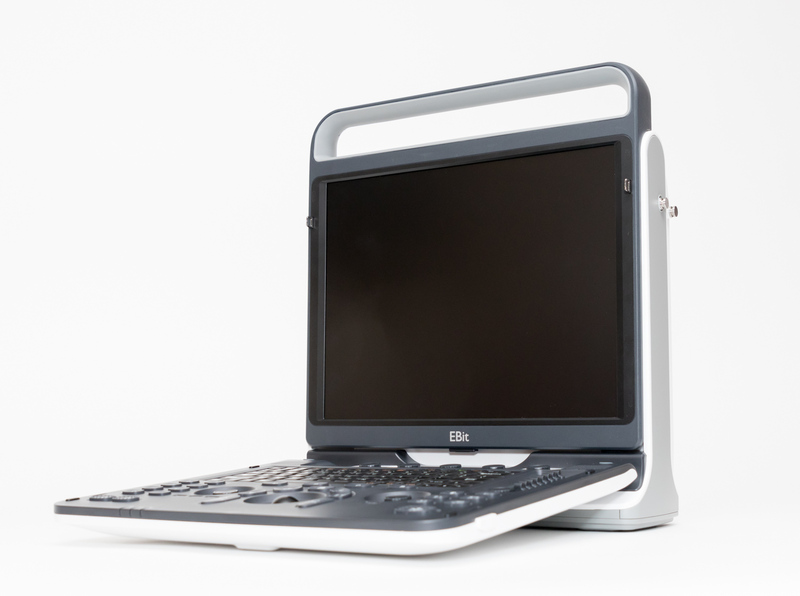 Other usability features of many Chison ultrasounds include dual-probe holders, tiltable 12- and 15-inch monitors, and a built-in battery that offers portable performance for up to two hours. In addition to balancing certain features with your medical imaging needs, it can help to categorize the different Chison model types based on a few, important factors. These factors include color Doppler vs. B/W, and veterinary. Below, you can find some basic descriptions and popular Chison ultrasound models in their respective categories. As new technologies make ultrasounds smaller with higher levels of performance, portability has become a popular option. Many of the advanced features found on console machines, such as Speckle Reduction Imaging, Compound Imaging, AutoIMT, and improved contrast resolution, also allow the portable systems to excel in many situations. Furthermore, if you’re imaging patients in an emergency setting, bedside, point-of-care, or other situations where portability and speed are concerned, then shopping for lightweight, fast performing machines may be the right choice for you. Usually weighing less than 15 pounds, the portable Chison ultrasounds are easy to carry and they are ready to boot up and start imaging in minutes. The portable ultrasounds also include a built-in battery that allows a couple hours of scanning time (usually up to two hours based on usage). Chison color Doppler ultrasounds offer advanced, full digital color imaging performance to help diagnose conditions such as blood clots, heart valve defects, congenital heart disease, decreased blood circulation, and much more. In addition to color Doppler ultrasounds, you may find benefit from a portable black and white ultrasound system. These are less expensive but include advanced imaging technologies and a range of useful features for fast, ergonomic performance. The Chison ECO3 with Pulsed Wave Doppler, a unique feature among black and white ultrasounds in its class, is among our best-selling ultrasounds of all-time. Over the years, veterinarians have adopted ultrasound imaging for a wide variety of needs, whether imaging at the clinic or heading on-site. Due to the portable and durable design, these veterinary ultrasounds are optimal for being reliable while facing the rough conditions on farm or on-site locations. Whether for the sterile conditions of the clinic or the fast-paced needs of the emergency room, Chison ultrasound transducers were created to withstand adversity and provide reliable, high-performance imaging in every situation. As an authorized dealer of Chison products, Providian Medical features a wide range of high-end transducers for enhancing your clinical applications, whether you need a low-frequency probe (2 to 4.5 MHz) for cardiac or abdominal exams or a high-frequency probe (up to 18 MHz) for MSK, nerve, small parts, or other such superficial exams. Higher-end ultrasounds, such as the SonoBook 9, include a wider range of probes, including hockey-stick style, TEE, or other such specialty probes. Most Chison ultrasounds offer veterinary transducers, such as a linear veterinary reproductive and high-frequency microconvex transducers. 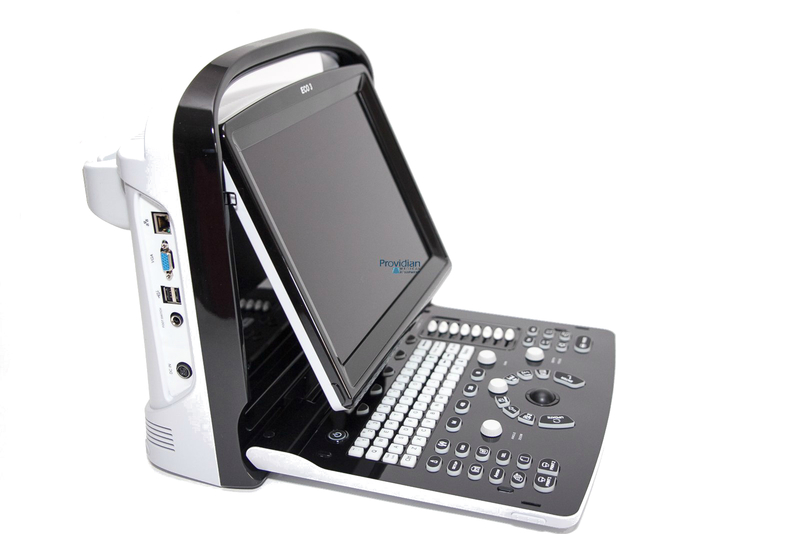 As an authorized distributor of Chison ultrasounds, Providian Medical is able to offer portable and console-based ultrasound systems at a very competitive price. Nevertheless, the cost of Chison ultrasounds can vary widely, with additional expenses depending on additional equipment such as a cart, technological features, and the number of transducers. Most of the Chison ultrasound systems are typically offered new, though Providian Medical does have refurbished equipment available at a lower price. In general, some Chison ultrasounds like the ECO3 and the ECO5 are offered for less than $10,000, while systems such as the EBit 60 and the SonoBook 9 can cost between $15,000 and $30,000. All of our new Chison ultrasound machines offer warranties up to 3 years, with extended warranties available. Our refurbished products carry warranties from 30-90 days with extended warranties available at an additional cost. As an extremely affordable color Doppler system with Triplex capabilities, Needle Visualization, AutoIMT measurements, and many advanced features and technologies, the ECO6 is quickly becoming one of our best-selling ultrasound machines. The ECO6 can perform a large number of tasks for those with a limited budget. Although its color is not as good as a higher end machine, those looking for basic color Doppler or Power Doppler, the ECO6 is the best low-cost color Doppler machine on the market. The Chison ECO3 ultrasound is an entry-level, black and white ultrasound system with advanced imaging features not found on other black and white machines. Using its full digital beamformer technology combined with PW Doppler, Speckle Reduction, and Compound Imaging, you can expect fast and high-resolution imaging for abdomen, OB/GYN, urology, small parts, pediatric, and veterinary use. Specializing in addressing the fast-paced needs of imaging departments, the Chison EBit 60 ultrasound has quickly become one of today’s most popular ultrasounds. The Chison EBit 60 is lightweight at 15 pounds, and its 15-inch, rotatable (30 degrees) monitor enables ergonomic, easy viewing. In addition to being lightweight, this ultrasound is also portable with its removable battery and up to 120 minutes of performance. The EBit 60, along with its non-cardiac counterpart, the Chison EBit 50, this has become among our top sellers for vascular and venous use. Its combination of solid image quality and sensitive color and PW Doppler make it a great, affordable choice for venous and vascular operation. The EBit 60 also includes cardiac imaging capabilities with CW Doppler for those who occasionally need cardiac imaging. In a laptop-style design, the durable Chison SonoBook 9 is the most affordable cardiovascular imaging system on the market. As a shared service unit, it can perform a wide variety of studies while providing great frame rates, excellent resolution, and fast operation. Anesthesia — SuperNeedle visualization and great image quality make have brought this system to the forefront of higher-end portable systems for anesthesia and needle-guided procedures. 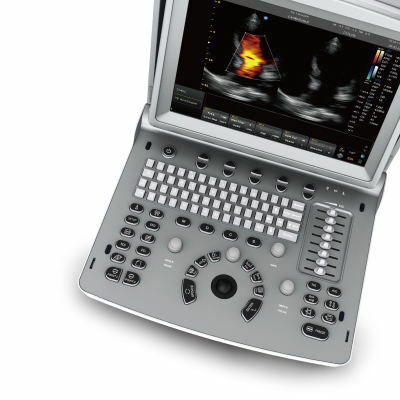 Cardiovascular — With high frame rates, fast saving, good penetration and excellent image quality, the SonoBook 9 is the most competitively priced and affordable system in the cardiovascular market. Emergency Room — With its compact, durable, portable design and fast and reliable performance, the SonoBook 9 is your go-to tool for addressing critical needs in emergency situations. MSK and Orthopedic imaging — The SonoBook 9 has garnered the interest of professional sports teams, helping identify all sorts of musculoskeletal injuries while also providing needle guidance for injections. When compared side-by-side among more expensive machines, the price and performance made the SonoBook 9 a clear winner. Radiology — Through technologies such as real-time curved panoramic imaging, efficient workflows, and a versatile probe range, the SonoBook 9 ultrasound is ideal for radiology applications. OB/GYN — Best-in-Class image resolution and 4D imaging technology with VirtualHD life-like imaging, the SonoBook 9 is a top choice for OB/GYN offices looking for a new system with advanced features. The Chison SonoBook 9 ultrasound brings comfort and reliability to every scan. 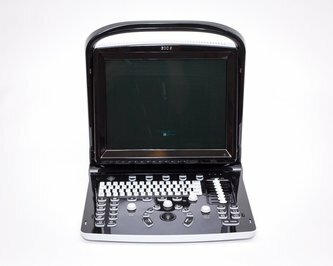 This machine can boot up in less than a minute, while still images and cine clips are saved in less than one second. The SonoBook 9 also supports 27 kinds of probes covering a frequency range of 1.5 MHz to 23 MHz. 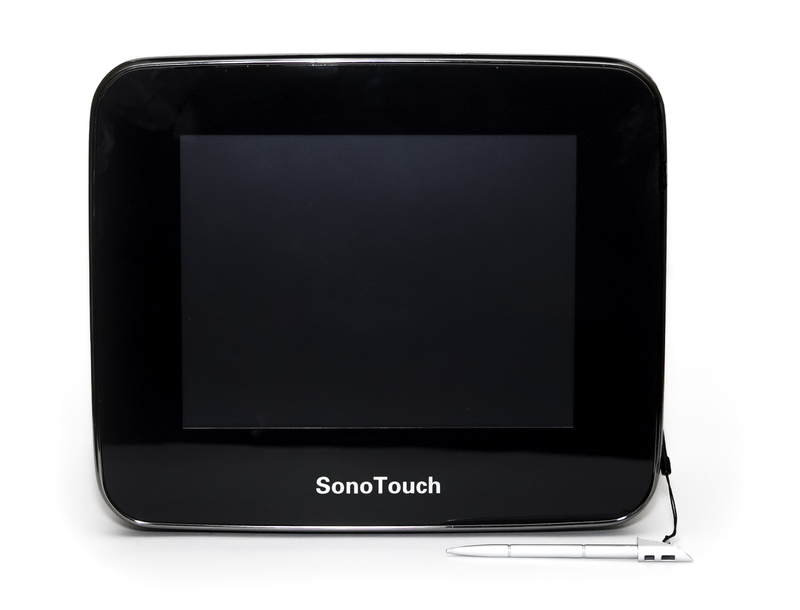 Designed like a tablet that can fit in your hands, the SonoTouch 30 ultrasound is innovative and brings high-end imaging and an amazingly intuitive user interface to all of your imaging needs. 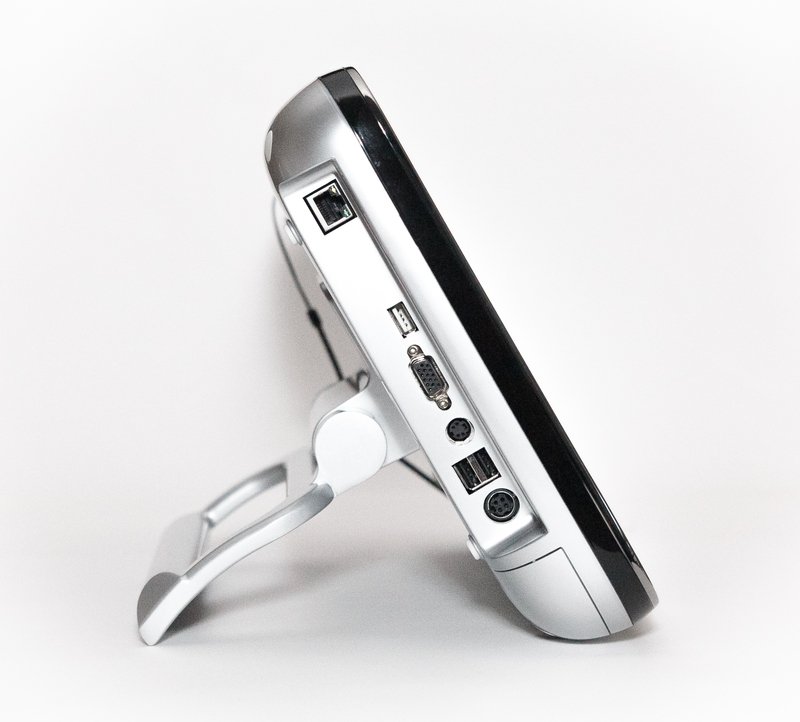 Touch-screen, gesture-controlled operation, similar to computer tablets. The SonoTouch 30 ultrasound also has color and PW Doppler, and it’s compatible with linear, convex, microconvex, endocavity, and sector transducers. No matter your clinical imaging needs, Chison ultrasounds can help you boost your imaging procedures while providing better, clearer results and faster workflows. As Providian Medical is an authorized dealer of new and refurbished Chison ultrasounds, you can always expect competitive prices and outstanding service. To get started with a Chison ultrasound in your practice, call our expert staff today at 1-877-661-8224.